While wandering near the Sand River gate in Kenya, a group of elephants encountered a muddy slide that blocked the most convenient path for them to walk. 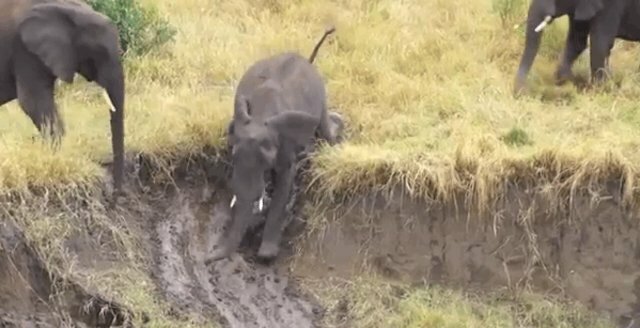 Instead of going out of their way to find a new route, the elephants -- which are notoriously intelligent, according to tests of cognitive ability -- devised a few creative alternatives to getting down the muddy path. Watch them wiggle through the river as they successfully turn their problem into a little adventure.